The history of car manufacturing is littered with minor design annoyances, often the result of buttons being oddly placed. A classic example is the Honda S2000, where the button for the ultra-powerful windscreen washer jets was on the central console, near the driver's elbow. Accidental windscreen washing wouldn't be so bad, but the car was a convertible, leading to regular cases of screenwash on face. Then there are the electronic gaffes, such as the Toyota Previa illuminating the dashboard to solar levels whether you had the headlights on or not, fooling many drivers into motoring around town unseen by other road users. Even the best cars can come with annoying design flaws. The Ford Puma was released in 1997 to critical acclaim, but drivers still found it incredibly annoying when they opened the boot in the rain and all the water resting on the boot lid poured into the car. Yet in some vehicles, the design faults have been so bad they'll make you laugh, cry or even die. No one knows if Michigan inventor Uriah Smith ever actually built this contraption, but how could we not share it? Back when the idea of horseless carriages got God-fearing folks all uppity and reaching for their pitchforks, Mr Smith was worried about the impact that motor cars would have on nervous nags. Imagine the scene: Dobbin is casually trotting along with master on his back, before a chugging four-wheeled beast comes trundling around the corner. The horror! Smith thought he had the answer though: make a fuel tank out of a horse's head and attach it to the front of the vehicle. Apparently, this would fool other horses into thinking it was just another horse on the road, and all would be well. Whether it was made or not, the idea never took off. Probably because horses aren't that stupid, and nobody wants to drive taxidermy around. On the one hand, Dodge could be admired for being genuinely ahead of its time, inventing a way to let us play our favourite music in our cars and not have to listen to the inane drivel of radio DJs. On the other, since the music technology of the day was clearly not up to the task, its forward thinking has to be categorised as a terrifically bad idea. The Dodge Custom Royal featured a record player in the dashboard. To people who grew up on iPods, CDs, cassettes or even 8-tracks, the idea might not seem that strange, but to the people of the 50s the concept was exciting - initially at least. Yet the practicalities of it are ridiculous. 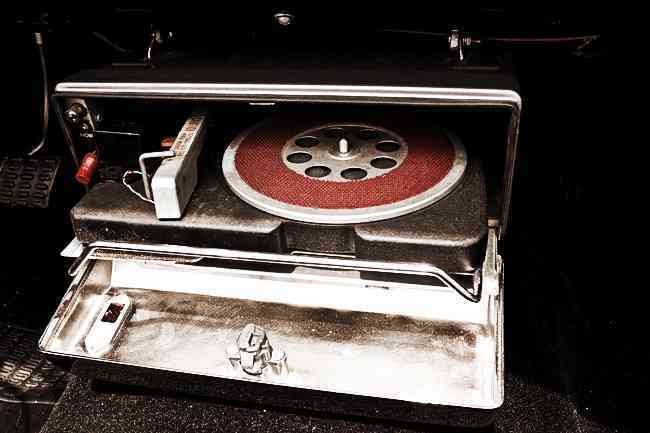 Wanting to add a functional record player to the dash but faced with LPs that were too big and the prospect of drivers having to flip over 45s every two minutes while driving, Dodge decided to go ahead anyway by investing a significant amount of money working with Columbia to create scaled-down LPs which played at 16 and 2/3 rpm. This meant customers would have to buy special records to use - so either they re-buy their favourite records or listen to something else which they can't play on their home record player. Even if the customer decided to do this, and set off blasting their favourite songs, one bump in the road and the needle would skip, skip and scratch their record. Dodge's revolutionary new in-car music system did not kill the radio star. The swing-axle, a rear axle which pivoted in the middle, had been used in the Volkswagen Beetle without issue, so when Chevrolet was designing its challenger for the quirky German car, it saw no problem in using one too. However, the design of the Corvair revealed a terrible flaw in the swing-axle system. Chevy management apparently decided that the anti-sway bar in the Corvair design was an unnecessary cost and had it removed - supposedly despite the protestations of the suspension engineers. The Corvair was more powerful than the Beetle while being lightweight, in a bid to make it fun to drive. Unfortunately, when drivers cornered quickly, problems could occur. If the road had a significant adverse-camber at the edge - which many rural US roads do - one wheel would drop down, causing that pivoted axle to act like a vaulting pole, jacking the car up and in some cases flipping it over. A 1965 book by Ralph Nader, Unsafe At Any Speed, highlighted the problem with the Corvair's handling. By this time a front anti-roll bar was fitted as standard on the car, but the bad press saw Corvair sales fall by half almost overnight. When US manufacturers first got sight of the Volkswagen Beetle, they scoffed. The funny-looking car might be popular in Europe, they thought, but Americans don't want to be cramped into their cars; they want their cars big, bold and powerful. Yet the value offered by compacts was attractive to customers, so smaller three-door sedans such as the Ford Falcon were introduced in the early 1960s. Then came the Japanese invasion as hatchbacks from Datsun and Toyota proved popular in the mid-60s, so US car-makers responded again, with Ford producing the Pinto. Designing a hatchback presented a problem for the US manufacturers: what to do with all the necessary bits that used to go in the back? In an incredibly poorly thought-out move by the company that invented the mass-production motor car, Ford decided the best place to hide the displaced fuel tank was behind the rear axle. Even in a modern car this is a bad idea, but in a 1970 hatchback with a non-existent crumple zone and a lightweight rear bumper, it was catastrophic. By 1977, anecdotal evidence of the danger of the fuel tank placement became public knowledge. Even at low speeds, rear-end collisions could cause the fuel tank to split, meaning all it took was a hot spark from the crumpling metal to turn the back of the car into a fireball. Further digging by the media discovered that Ford had known about the problem since it conducted crash tests - although these weren't done until the vehicle was already in production. The ensuing scandal, which revealed Ford was callously weighing up the cost of compensation against the cost of a recall, led to court cases, huge payouts for burns victims and finally a recall of the Pinto in September 1978. It was easily the costliest motoring blunder ever made. Sometimes it's not the design itself that's at fault, more that forgetfulness or plain laziness comes into play. This was the case with Lancia Beta, a great car with a good engine and responsive handling which had it pegged as a real driver's car - and for a while it was. Unfortunately, somebody at Lancia forgot - or simply couldn't be bothered - to ensure the steel they used in the chassis was rust-proofed. It wasn't long before drivers began to find that their pride and joy was beginning to rot - often at key structural points. Stories of engines falling out were exaggerations, but cars that were only a few years old would fail routine inspections and be deemed unfit to drive. Faced with overwhelming evidence, Lancia tried to save face by buying back all the rusty cars, but the damage to its reputation was permanent - particularly in the rainy UK - resulting in poor sales of subsequent, less-corrosive models. Businessman Malcolm Bricklin made his fortune building the chain of Handyman stores, but cars were where his passion lay. Having made millions in building supplies, he now had the capital to pursue his dream: a safe and economical sports car which looked as good as any of the sleek European models. Unfortunately, the whole project for Safety Vehicle 1 (SV-1) was a catalogue of errors. 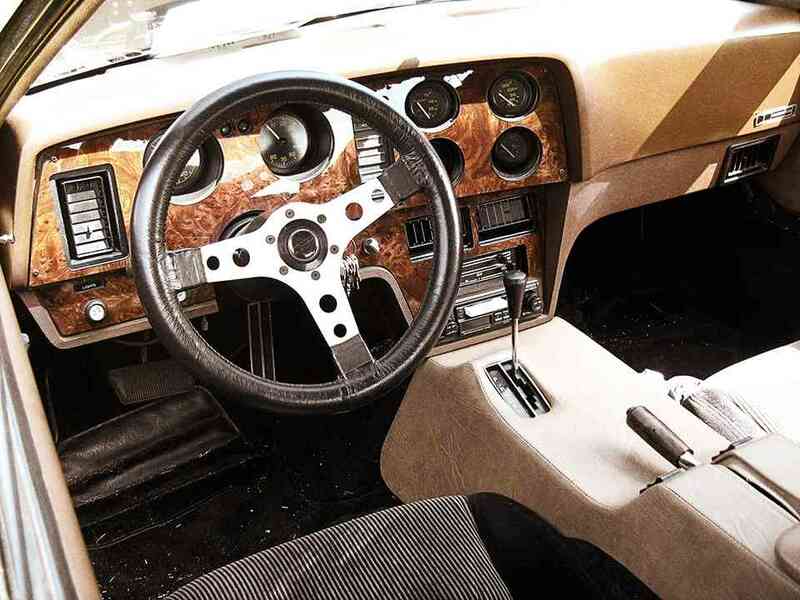 To make the car 'safe' - aside from not having a cigarette lighter or ashtray, as Bricklin thought that smoking while driving was dangerous - the design incorporated a new process of bonding fibreglass to acrylic. Alas, the technique had not been perfected and production costs were very high, because many of the panels cracked. The panels were also extremely heavy, as was the admittedly strong chassis. Yet the engine was not nearly powerful enough to haul around this extra weight, and only one small radiator was fitted, so the engine regularly overheated. The final version of the safe and economical sports car was far too slow to be considered a sports car, and too heavy to be close to fuel-efficient. With it regularly breaking down and rarely getting up to a dangerous speed, safety was not really a concern either. The project bombed and less than 3,000 cars were made before the company went into receivership, leaving the New Brunswick government $23 million out of pocket. Mercedes likes to be on the cutting edge, and typically it knows what it's doing. But sometimes - just sometimes - it can blunder like the rest of them. While the world was getting upset about CFCs and the environmental impact of waste plastics in the late 1980s, Mercedes decided to do its bit by using biodegradable plastics for its wire insulation casings. The idea was that when chucked into landfill sites, the plastic would eventually break down and disintegrate, leaving no mark on the Earth. Unbelievably, it seemingly didn't occur to Mercedes that the plastics might break down and disintegrate while they were still in your car. It's unknown exactly how many cars are affected, but some guess at close to two million produced since 1991, across a range of models. When the plastic disintegrates, in a best-case scenario one of the lights on your dash stops working. In some instances however, the exposed wire will short out the whole engine management system and ruin the fuel injection module. Mercedes has been very quiet on the issue, although it has been known to replace wiring insulation for some of those who kicked up the biggest stink. The problems with convertible roofs had dogged manufacturers for years - probably for a lot longer than they should have done. Leaky seals, motor mechanisms that broke down leaving your roof flying in the air like a sail and the ease with which thieves could get into your car were issues that were never really solved until 1996. That year, Mercedes released the SLK Roadster with a hardtop retractable roof. Finally, a convertible hardtop system that worked. That was the end of the matter. But not for Pontiac. For some reason, the company decided that a better way to make a convertible was for the roof to be a completely removable panel, which the driver had to remove themselves - a total backwards step in design thinking. To compound this comical blunder, the design team didn't include any storage space for the roof in the car, so you had to leave it at home and hope it didn't rain. 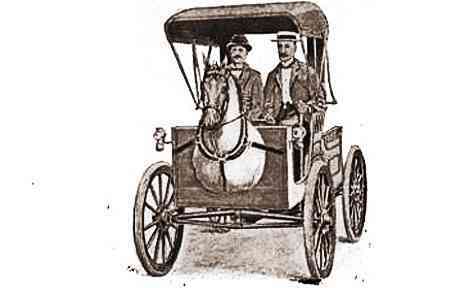 With the exception of the Horsey Horseless (obviously) the cars on our list were relatively popular with consumers until the nature of their design blunder became obvious - and many remained so afterwards. Alas for the Solstice, its blunder was its main feature. It did not sell well.